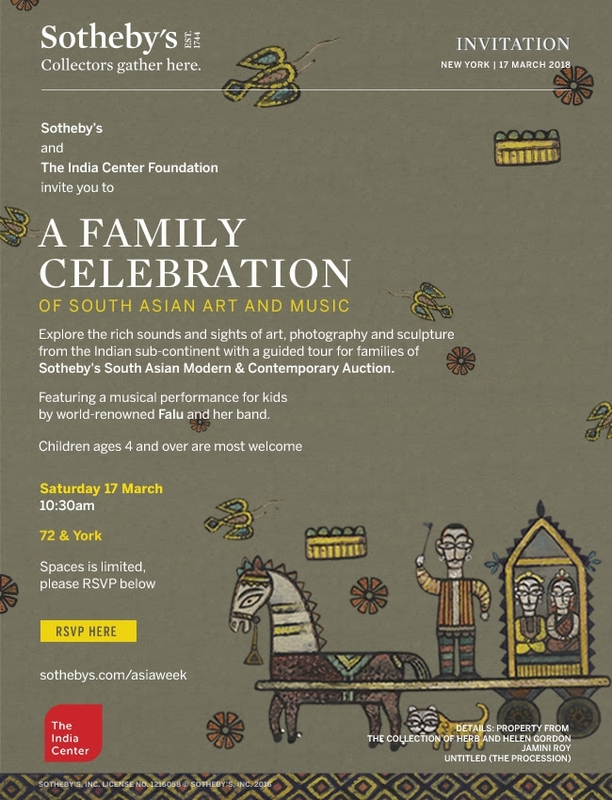 A Family Celebration of South Asian Art and Music! Please join us for a family celebration of South Asian art and music on Saturday, March 17th. We will be exploring the rich sounds and sights of art, photography and sculpture from the Indian sub-continent featuring a guided tour of Sotheby’s South Asian Modern & Contemporary Auction and a performance by world-renowned Falu and her band. We recommend this event for children ages 4 and over, so please RSVP below as space is limited!